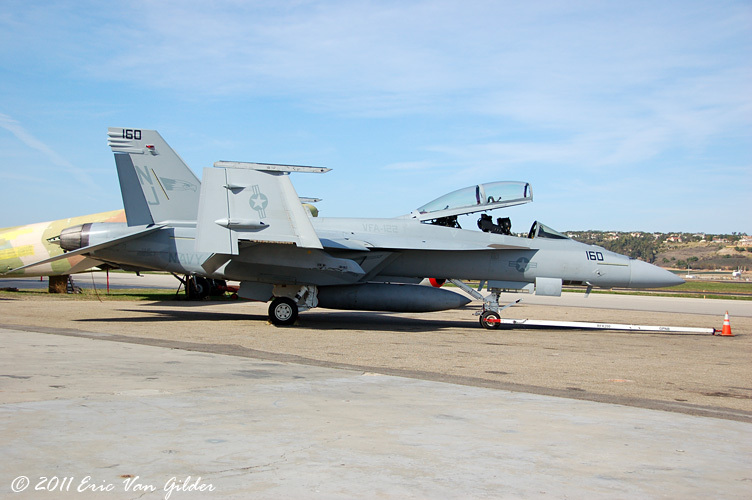 The Southern California Wing of the Commemorative Air Force, based at the Camarillo Airport hosted a Centennial of Naval Aviation event on Sunday December 4, 2011. 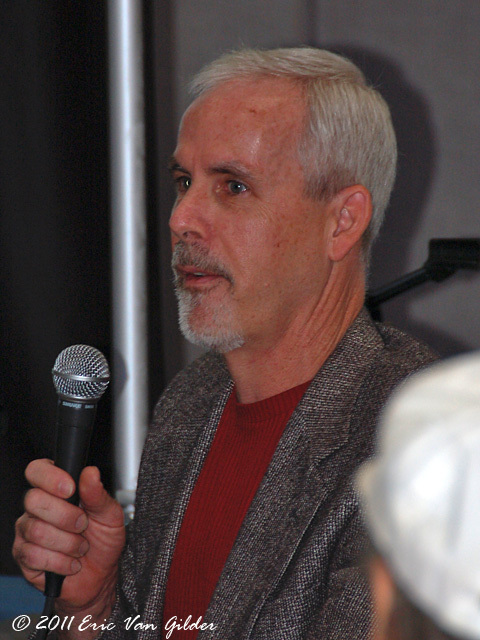 The program featured a presentations by author Bruce Gamble and by US Navy Commander Mark "Mutha" Hubbard. 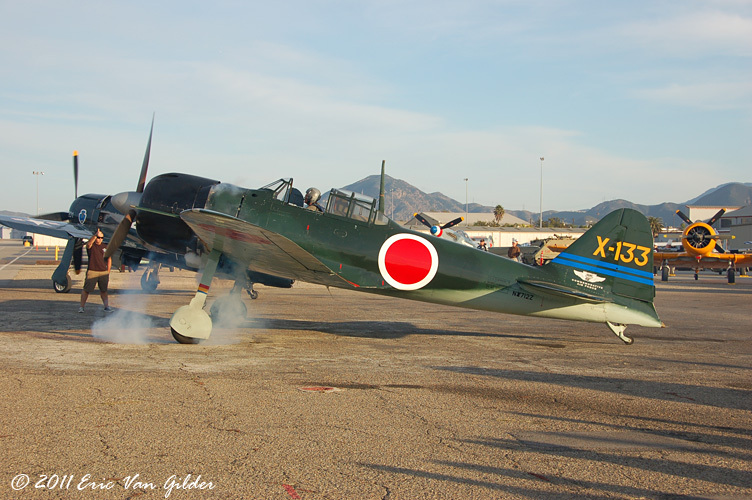 Bruce Gamble has written several books about the Pacific air battles of WWII. 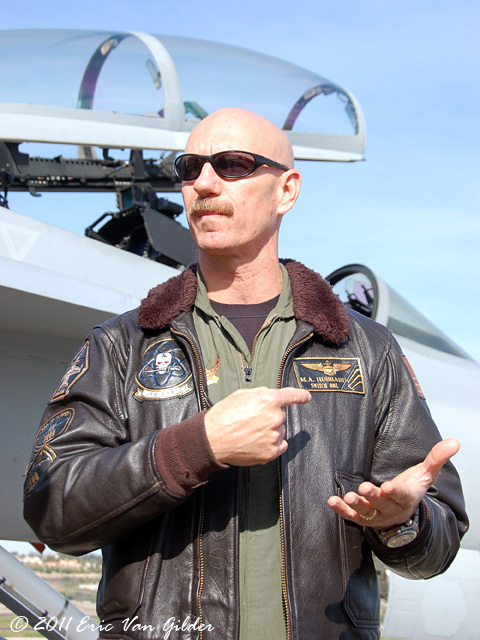 Commander Hubbard is based at NAS Leemoore, California and commands several US Navy Squadrons. 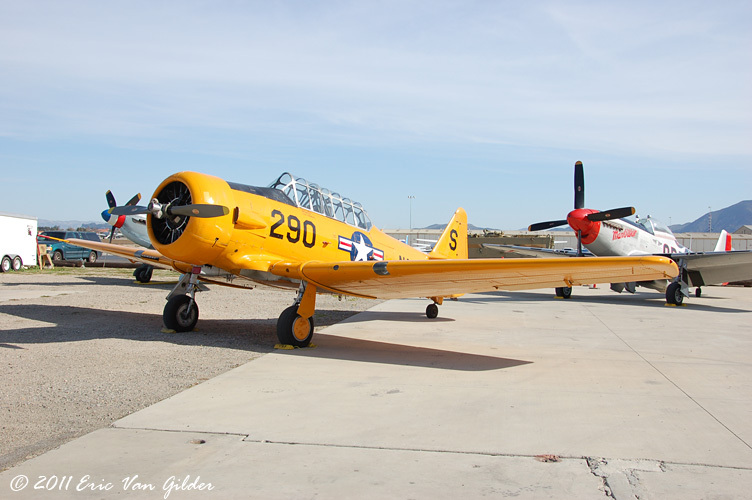 It was a great contrast to hear about the US Navy of 60+ years ago and the US Navy today. 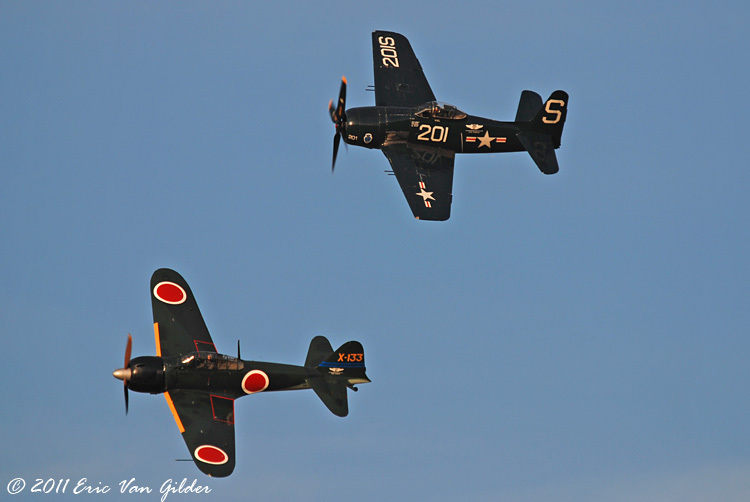 Following the presentations, there was a flight demonstration by the F8F Bearcat and the A6M3 Zero with individual passes and a formation pass. 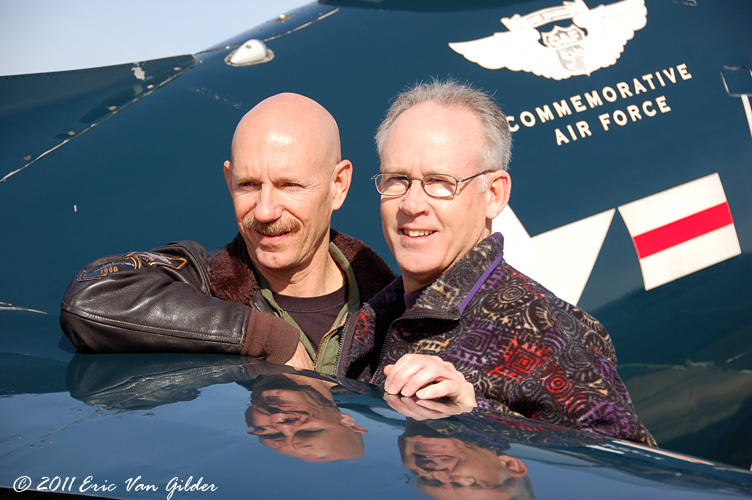 Hubbard flew the F8F and the Zero was flown by Steve McCartney. 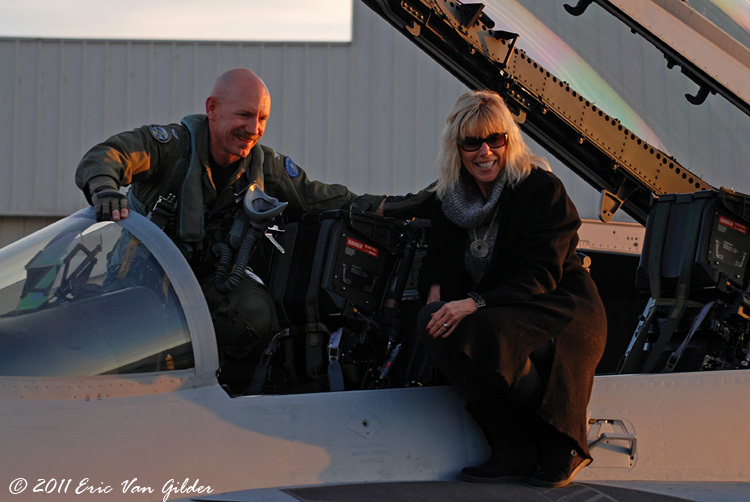 After they landed, Commander Hubbard got into the F-18F Super Hornet that he flew down from Leemore to return home. It was a great day and a great event. 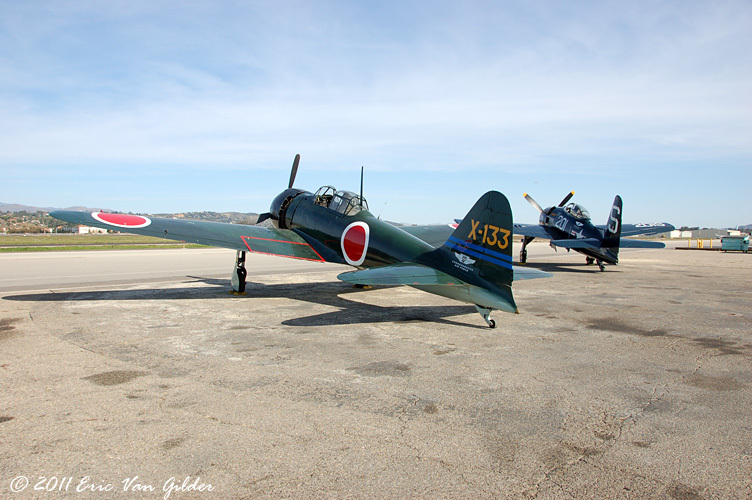 The Zero and the Bearcat on the ramp, fueled up and ready to fly. 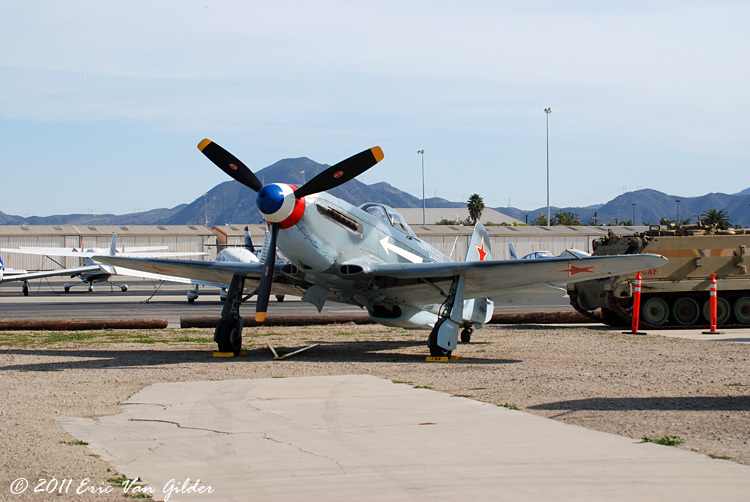 The SNJ on the ramp with the P-51 Mustang and Yak-3. 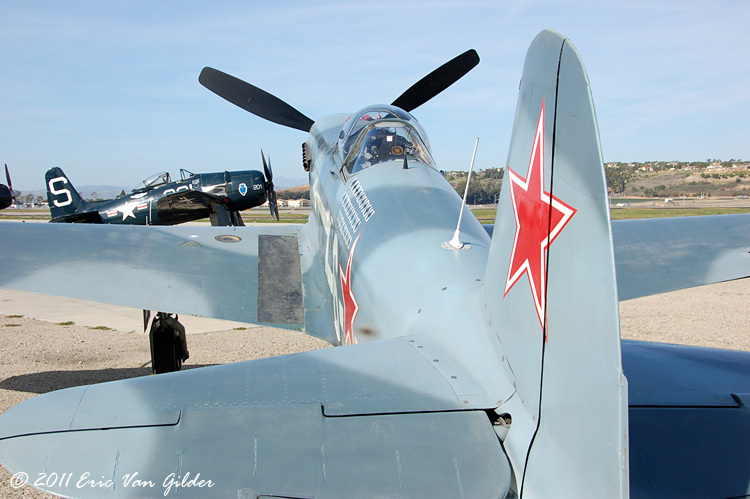 Rear view of the Yak-3 with the F8F Bearcat in the background. 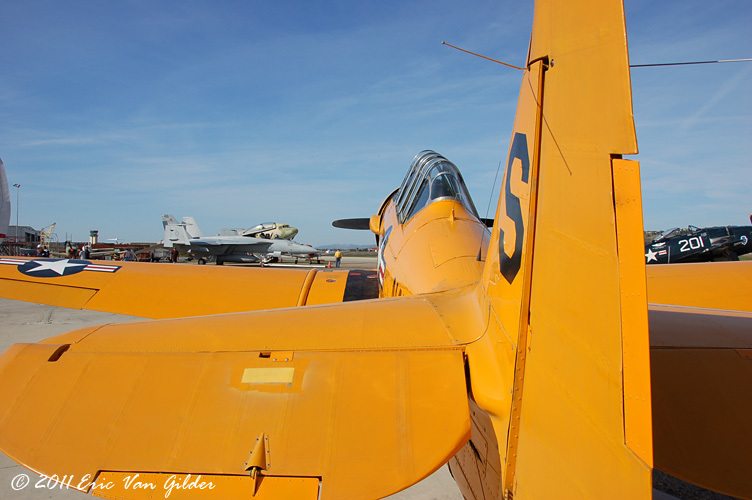 Rear view of the SNJ with the F-18 in the background. 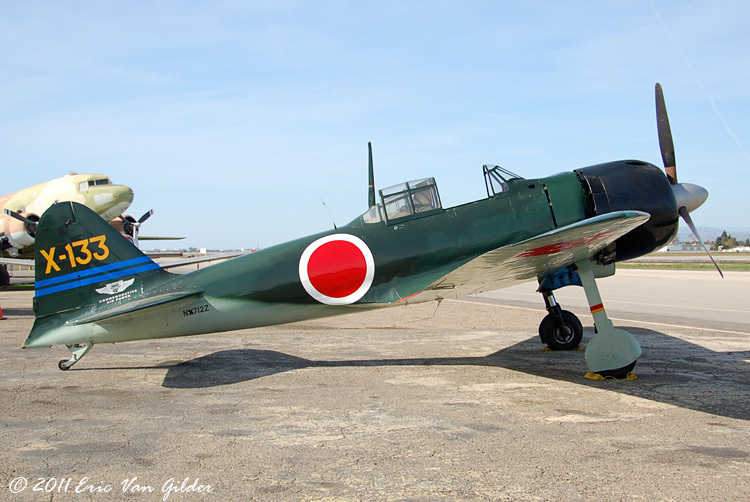 The A6M3 Zeke prepped to fly. 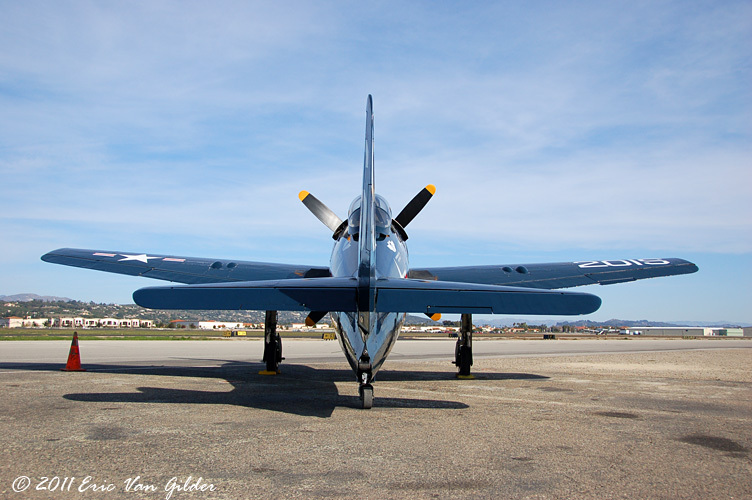 Rear view of the F8F Bearcat. 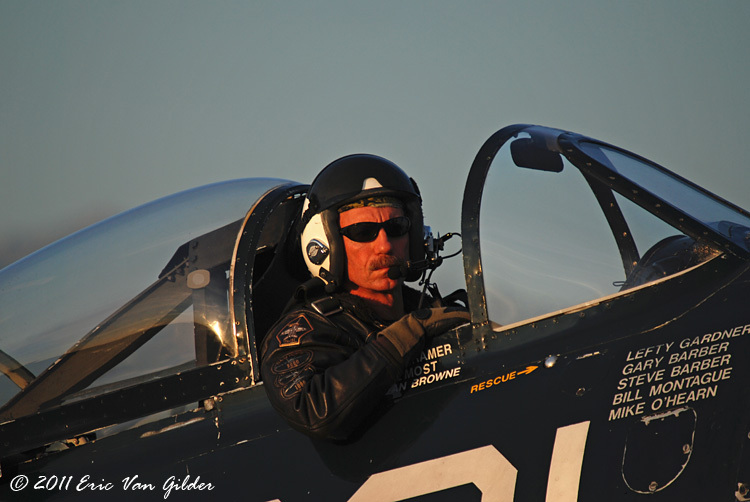 Mark "Mutha" Hubbard in the F8F Bearcat. Mark poses for a photo op prior to his departure. 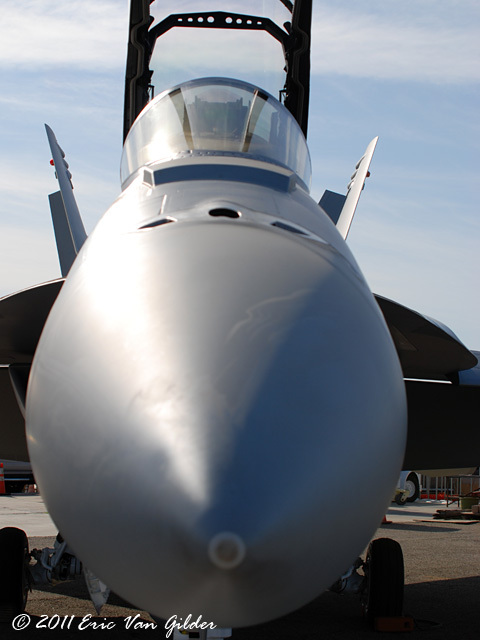 Mark talks with visitors about the Super Hornet. Mark Hubbard and Steve McCartney. 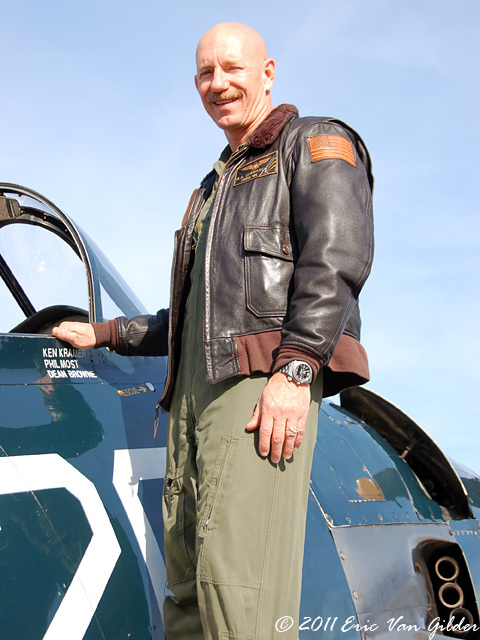 Steve flew the Zero for the flight demonstration. One of the CAF members is a great artist. 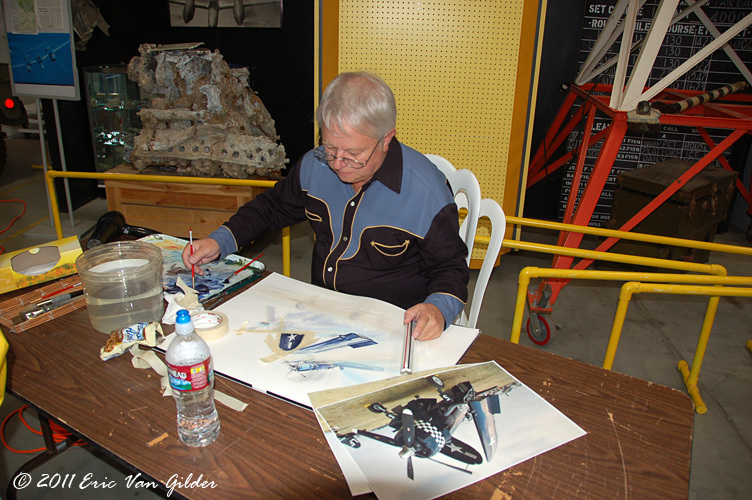 Here he is working on a Corsair painting. Bruce Gamble talking about the war in the Pacific. 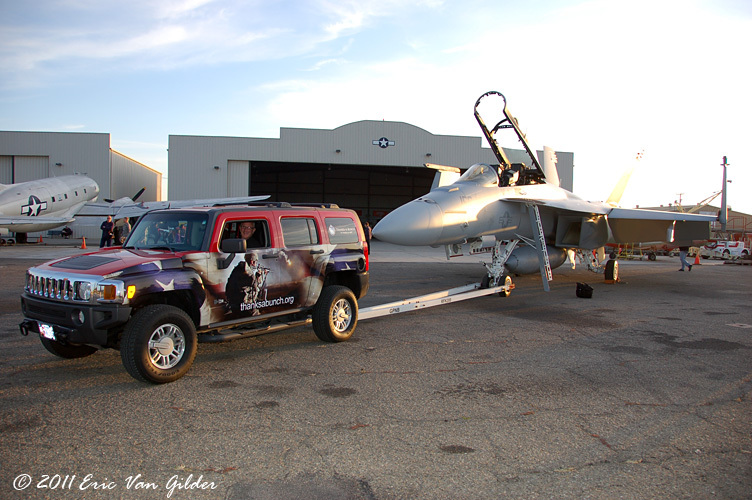 The thanksabunch.org tribute Hummer with the F-18. The Zero starting as the Bearcat warms up. 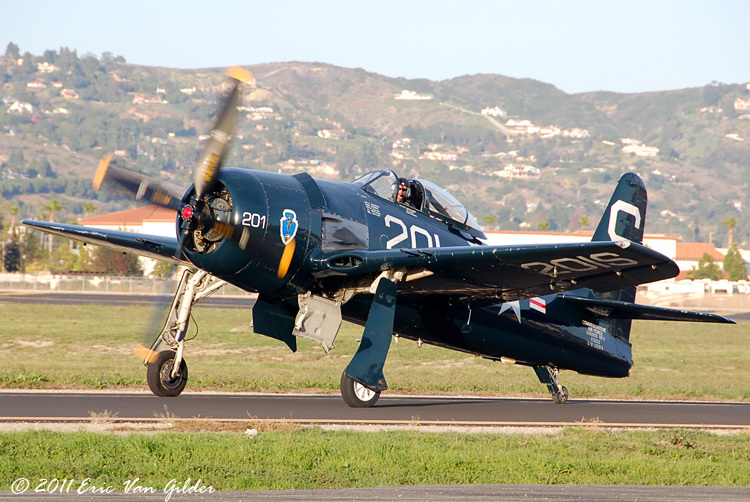 The F8F taxiing out to the runway. 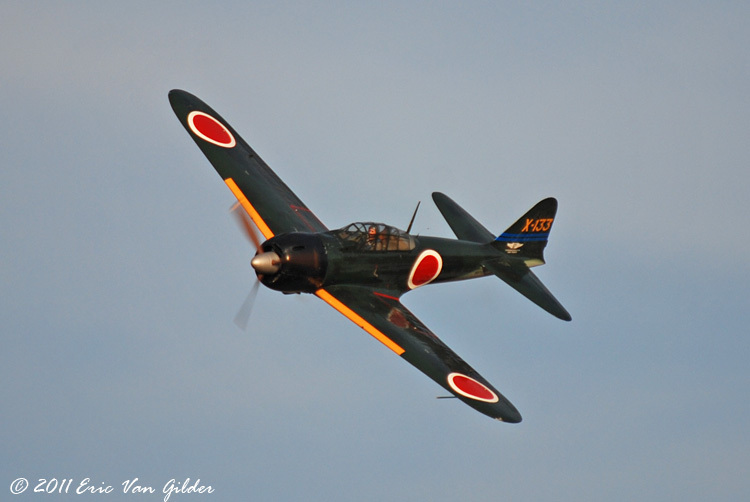 Steve brings the A6M3 Zero for a pass. 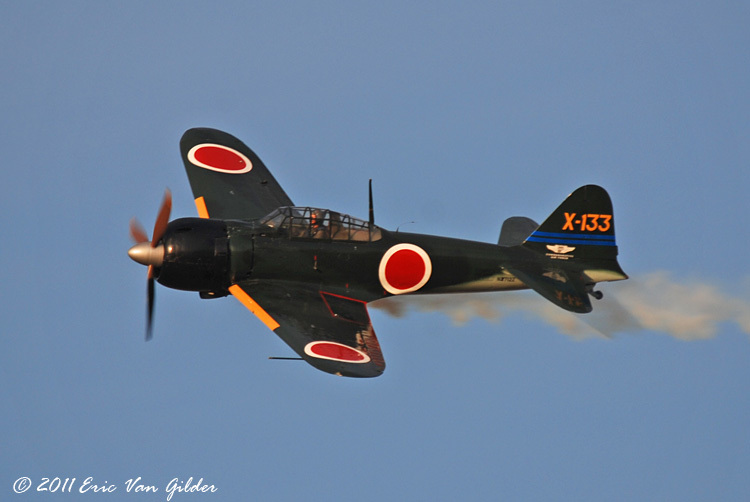 The A6M3 Zeke on a smoke pass. 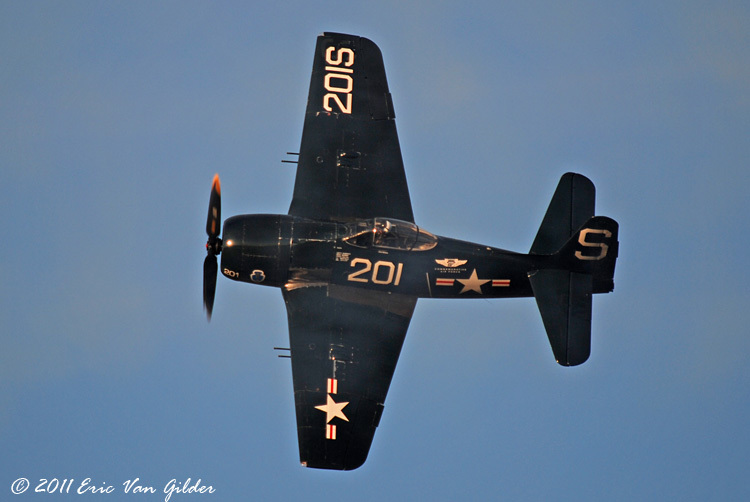 Mark giving us a great angle in the F8F. 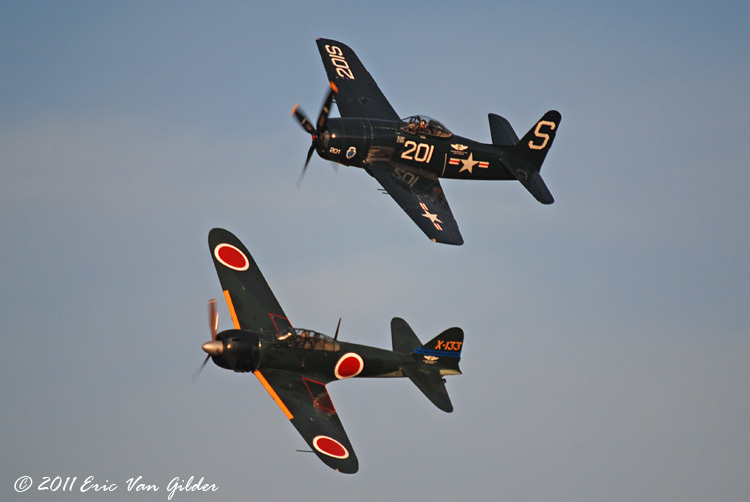 The A6M3 Zero and the F8F Bearcat in a formation pass. 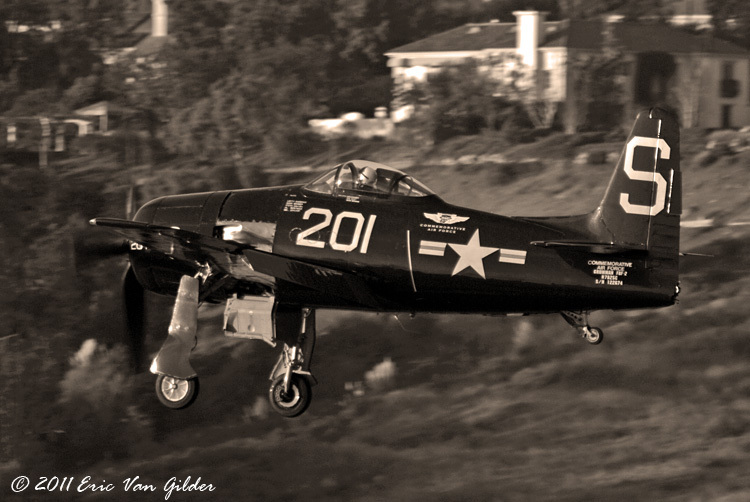 The F8F Bearcat coming in for a landing. 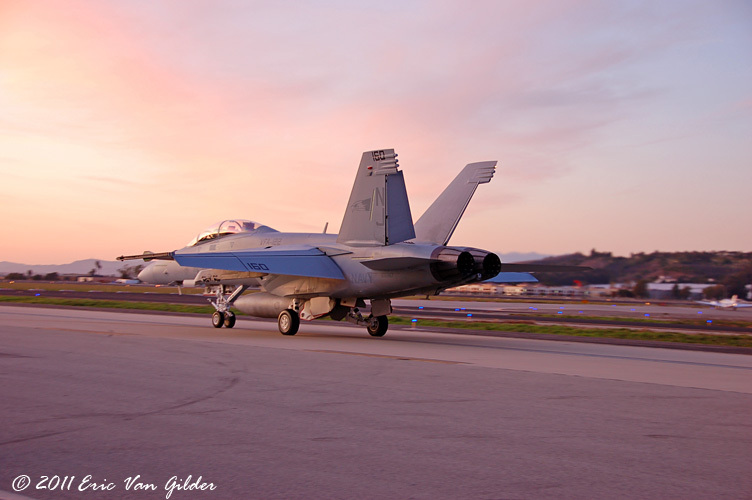 Mark departing in the Super Hornet for home.